Without a vision the people perish. And without an audacious goal or two, our running stagnates and typically goes backward. 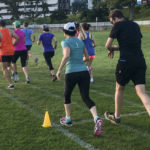 So this week Hamish and Hayden talk about how and why to come up with goals for your running. We also catch up on local news including the Cambridge Half, Mount Maunganui Half, and the Great Naseby Water Race. And the athletics is still happening overseas with Tom Walsh throwing a huge new national record, Val Adams winning, and Nick Willis committing to another four years in the trainers. 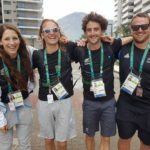 This entry was posted in Kiwi Running Show, Uncategorised and tagged Athletics NZ, Goal Setting, Nick Willis, running, running coaching, Tom Walsh, trail running, Val Adams. Bookmark the permalink. FYI. There’s 3x 100milers in NZ. The Great Naseby, Round The Mountain (Taranaki road race) and Northburn.